Whispering Galleries comes alive with each new visitor. Based on the diaries of an anonymous New Haven county shopkeeper from the 1850s, this viewer-activated digital artwork is accessed on a computer screen through a gestural interface – the LEAP motion controller – and experienced in augmented reality. Presented in honor of New Haven’s anniversary, and part of Connecticut at Work, a year–long conversation about the past, present and future of work life in Connecticut created by Connecticut Humanities, the artwork will shed light on the history of work environments in New Haven. The artists explain: "the voice of the diary sends whispers to the present through a series of erasure poems" and describe "the keeper of the diary" as someone who "worked with his hands: as a woodworker making handles for tools, sawing lumber, and sweeping out the shop; as a violinist making music at intimate gatherings and church occasions; and as a composer, writing pieces for performance at the local school. In daily entries, the author‘s week is measured out by hand–work." Connecticut at Work is traveling across the state through December 2014 and features the Smithsonian Institution‘s The Way We Worked exhibition, with stops in seven communities, which add local focus with community history exhibits, book and film discussions, author talks, performances and more. Connecticut at Work is an initiative of Connecticut Humanities, a non–profit affiliate of the National Endowment for the Humanities. In the New Haven region, Connecticut at Work is a partnership with New Haven Free Public Library and the Arts Council of Greater New Haven. The Connecticut tour of the The Way We Worked is made possible by Connecticut Humanities and Historic New England. 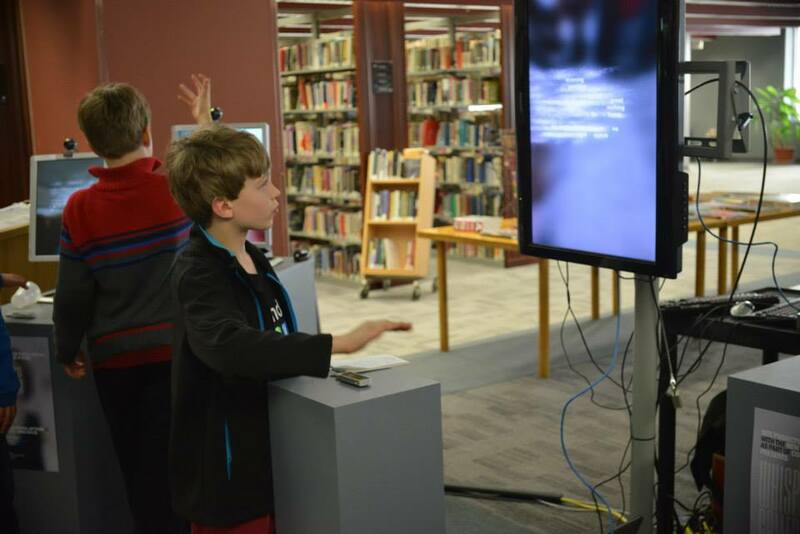 "Whispering Galleries is an interactive artwork that allows visitors to engage with an anonymous diary from the 1850s. 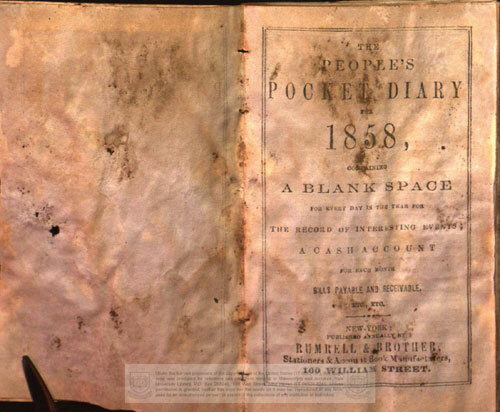 The keeper of this diary worked with his hands: as a woodworker making handles for tools, sawing lumber, and sweeping out the shop; as a violinist making music at intimate gatherings and church occasions; and as a composer, writing pieces for performance at the local school. In daily entries, the author’s week is measured out by hand-work. Others come in and out of his shop and home: customers and friends mentioned in passing, whose presence reveals the way a New England community of the mid-nineteenth century relied on careful manual labor for its members’ livelihood and enrichment. The voice of this diary sends whispers to the present through erasure poems that draw these themes to the surface. The reader will approach what appears to be a fogged mirror reflecting and distorting her blurred image. The text appears on the plane before her – a diary entry from long ago. She realizes the letters in the text fall away as she “touches” them, revealing a new, more mysterious text. The letters seem to be written in dust or in the sand of time; the words dissolve into particles that follow her fingertip’s gestures. She experiences a tactile delight in flinging the particles across the screen even as she reads the haunting words that are left behind. 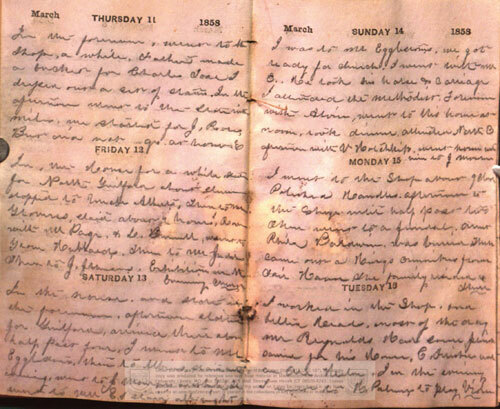 A broad gesture makes all of the text disappear and a new diary entry appears in its place. Again, she can touch the letters to find new text. This mirror provides a visual metaphor for the curved walls of the whispering gallery. We see a blurred and distant version of ourselves as though looking back into history. We brush away the sands this our “hour” glass to reveal the hidden voice of history." Amaranth Borsuk Ph.D. is a scholar and published poet whose work focuses on textual materiality – from the surface of the page to the surface of language. She currently writes a Jacket2 Commentary on the artist‘s book in the digital age and tweets for The Deletionist, an erasure applet collaboration with Nick Montfort and Jesper Juul. She is the author of the book of poems, Handiwork, selected by Paul Hoover for the 2011 Slope Editions Poetry Prize (Slope Editions, 2012); and a chapbook, Tonal Saw (The Song Cave, 2010). She is the 2011 recipient of the Gulf Coast Poetry Prize for "A New Vessel," selected by Ilya Kaminsky, and her poems, essays and reviews have appeared widely in print and online. Amaranth holds a Ph.D. in Literature and Creative Writing from the University of Southern California, and recently served as Mellon Postdoctoral Fellow in the Humanities at MIT. She currently teaches in Interdisciplinary Arts and Sciences in the MFA in Creative Writing and Poetics at the University of Washington, Bothell. Currently, Brad runs an interactive design consulting service that advises early-stage web startups. Amaranth Borsuk + Brad Bouse collaborated on the digital pop-up book:Between Page and Screen (Siglio Press, 2012), presented internationally at a number of exhibitions from San Francisco to Berlin.